The China BioPharma ETF (Nasdaq: CHNA) team traveled to Shanghai, China during mid-October and had the opportunity to visit with several companies held by the fund. (View all holdings of the CHNA ETF). One stop along the way was at the main research and development center of CHNA ETF holding Hutchison China MediTech (Nasdaq: HCM, London AIM: HCM), which is also called Chi-Med for short. Here we had the opportunity to tour the company’s labs, see first hand the science that is taking place there, and conduct a Q&A with Chi-Med’s CEO, Christian Hogg. Below is a transcript of our wide-ranging interview, which has been minimally edited for clarity. CHNA ETF: Thank you for allowing us the opportunity to visit your facility. So where are we today? Christian Hogg: We are in Shanghai in Zhangjiang Hi-Tech Park in Pudong, which is a district of Shanghai. This is what I would classify as the epicenter of the biotech industry in China today. There are a lot of satellite areas, Suzhou being one and there is some activity up in Beijing, but this is where I would classify seventy-to-eighty percent of the innovative biopharmaceutical activity in China is occurring within probably 10 kilometers in a circle around here. CHNA ETF: How long has your company had a presence here? Christian Hogg: We were one of the very first. We set up our first office here in 2002. We rented a small lab about two-to-three kilometers away from here and it got started from zero. But the real big step came when we took over what was up until very recently our main facility, which is where you have just visited 300 meters away. It is about 5,000 square meters and a fully functional laboratory. We took that over in maybe late 2003, and then in 2018 now we have just taken over AstraZeneca’s old China research and development operation, which is 6,000 square meters just 300 meters the other way. It has been a great place to grow. As the industry has grown, and as Zhangjiang Hi-Tech Park has populated, it has been a terrific place for us to be based and attract talent and to be close to our partners. CHNA ETF: What is the talent pool like here in Shanghai? Is it hard to find talent? Is the job market tight? How would you describe it? Christian Hogg: I think you are never going to be short of clever people in China. There is an abundance of extremely well educated, talented scientific resources in this part of the world. Of course there is specific training required in order to make progress in the global innovative pharmaceutical arena - you don’t come out of a university and know immediately how to design a drug that is going to get registered with the U.S. FDA. That kind of bridging of talent to our objectives, which is global research and development, is the challenge. But when you have smart people and you train them right and you bring in resources, you end up with a pretty powerful organization. Today some of our most productive people are people who have never worked outside of China. So the talent is here. It is about how do you harness that talent and get it equipped to deal with the global challenges they will face. So as far as the resources, yes they are here. The competitiveness for those resources is definitely on the increase, particularly over the last couple of years. As we have seen more and more financial investment coming into the biotech market in China, you have seen a real battle for talent. But we have done okay as a company. We have relatively low levels of turnover. It is because we are well established, we have been here for a long time, and we have a long track record of treating our employees with respect and giving them the resources and platform to do their work. So I think, yes, it is competitive, but we do fine. CHNA ETF: Your company’s formal name is Hutchison China MediTech, and it is also referred to as Chi-Med. The facility that we are visiting today is a subsidiary of Chi-Med. Tell us about that. Christian Hogg: Hutchison China MediTech is the listed company on Nasdaq and in London. It is a holding company of a number of subsidiaries and operations. And we do shorten it to Chi-Med because Hutchison China MediTech is a bit of a mouthful. Some people shorten it to HCM, which is our ticker in London and on Nasdaq. So underneath Hutchison China MediTech there are two core operations. First is the innovation platform, Hutchison MediPharma, which is where you are today. It is 99.7% held by Chi-Med. The 0.3% was a legacy share option scheme which has since been converted to Chi-Med but there were a few employees who chose to hold onto their Hutchison MediPharma shares. So it is essentially a wholly owned subsidiary of Chi-Med. Second is the commercial platform. The commercial platform is an operation that we have built up over the past 18 years that is involved in manufacturing, marketing, and distributing pharmaceuticals across China. It is a business that is made up of multiple joint ventures – with Shanghai Pharma, Guangzhou Baiyunshan Pharma, and Sinopharm – we have various subsidiaries under it as well. It has been a great source of cash for us through the years to help take the money out of the commercial business and fund the long-term investment for the innovation platform. So that’s what we have. Hutchison MediPharma is the innovation platform, and we have a commercial platform with multiple entities underneath it, all of which is under Hutchison China MediTech. CHNA ETF: Approximately what are the revenues of the commercial side? Christian Hogg: Because we have two 50/50 joint ventures, the revenues of those big manufacturing operations are not consolidated at a Chi-Med level. It is equity accounting. We consolidate our share of the profit but we don’t consolidate any of the revenues. If you look at the commercial platform today, the domestic sales of pharmaceuticals from that commercial operation in China is well over $650 million USD. It is a big operation with over 3,000 salespeople, over 1,200 manufacturing people, and so basically close to 4,500 people across China is the commercial organization. Our share of the profit last year was around $40 million USD after taxes. You asked me how much do we consolidate on the topline. Of that $650 million revenue, roughly $150 million USD to $160 million USD we consolidate because it is in parts of the business that are a subsidiary. CHNA ETF: We just did a tour of one of your buildings here in Shanghai. We saw everything from biology to chemistry. Can you talk about on a very high level what kind of science is being conducted here? What is your focus as a company? And some of the things we saw, what will this result in one day? Christian Hogg: What we do, led by our Chief Scientific Officer, Dr. Weiguo Su, is we focus on proteins and enzymes involved in the passage of pathogenesis of cancer and the proliferation of cancer cells. This is targeted therapy. This is researching the signaling pathways in a cancer cell to understand how is the cancer cell dividing. What is causing it to divide? And we identify those targets, we characterize those targets, and we design small molecule organic compounds to selectively target those proteins and enzymes and bind to them and shut them down. So what you have just seen there, I always say at the heart we are a chemistry driven company because that is where it starts, but the biology side of our operation is deep as well. In the R&D facility you have just visited there are probably 130-140 chemists whose role is to – once the protein or enzyme we are trying to target has been characterized – design a small molecule that is going to uniquely bind to it. So it starts with a pencil and a piece of paper and we build the structure in a fashion that we think will bind to the protein or enzyme. So it is a hypothesis. They draw out a compound and say, yes, I think this is going to work and then hand it over to our formulation chemistry team who will produce very small quantities of the substance. We will then take that substance and pass it down to the biology team who will, with cell lines and various cell models, determine if the structure is actually binding to the protein or enzyme in the fashion that we hoped it would. Sometimes it works and sometimes it doesn’t. If it doesn’t, the compound gets sent back to chemistry and you have to tweak and adjust it and fix it. So changes are made and it goes back to biology. It is a back and forth process of iteration to design compounds that effectively hit these targets. And then once you have a compound you feel is doing what we want it to do, then it gets escalated to start producing larger quantities and then we start looking at pharmacology models – so rat and mice models – to see if in those small rodent models that the drug does what it is meant to do. And once you get through that and you think you have something, you then go into higher-level regulatory toxicity testing. And once you have done that you can submit your IND (an application to regulatory bodies to start a human trial) and go into human trials. So that is the process, it is back and forth and it is iterative, and one of the biggest strengths we have here at Hutchison MediPharma is that all of these people are working in that facility together. So the biology organization, the chemistry organization, the pharmacology organization, the CMC organization (chemistry, manufacturing, and control), they are all working together day in and day out getting hit with problems and addressing them as a group and fixing it and coming around with the next iteration. Whereas a lot of biotech companies are more virtual companies. They will create something and then send it off to someone else to do work on it. Then it will come back, they’ll think about it, and they will send it off again. Here we remove a lot of the inefficiency of using third parties to do the work. 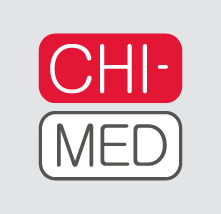 And that is one of the strengths of Chi-Med – the organization we have built is efficient, it’s here, they are all here. They are all working together day in and day out to solve the problems during the process of discovery so it is a big advantage for us. CHNA ETF: Chi-Med just had a new cancer medicine approved in China, Fruquintinib. It was discovered here in the country. Does that mean it started in these facilities and went through the process you are describing? Christian Hogg: It started with a piece of paper and a pencil. Dr. Weiguo Su drew out a structure that he thought would work on VEGFR (the target of the drug) and handed it to one of our chemists as he was on his way off to a scientific conference in the United States. He handed this piece of paper to the chemist and said, “see if you can synthesize this.” By the time he got back from that conference, the compound had already been produced. It was then taken through the cell lines and through all of our models. And this is quite a funny story – the biology team that were running those initial studies on Fruquintinib – the first ever of Fruquintinib – they thought that the chemists were playing a joke on them. They thought that because the efficacy was so good and it was such a strong result in those initial cell lines, they thought that the chemists had given them the reference compound as a joke to see if the biology people knew what they were doing. It turned out that Fruquinitinb was just an outstanding drug. CHNA ETF: How long ago was it when he handed the piece of paper to the chemist. Christian Hogg: 11 years ago – it was 2007. CHNA ETF: Some U.S. Investors may not know that Chi-Med has been around for decades. Can you describe its founding and when you started as the CEO? Christian Hogg: I was the first employee back in early 2000, so more than 18 years ago. I was recruited from Procter & Gamble in China, where I had been working for five years at the time. And I had got to know the conglomerate Hutchison (now CK Hutchison Holdings) because they owned 30% of Procter & Gamble in China. So when Hutchison decided they wanted to get into the pharmaceutical industry, they recruited me. They asked if I would like to start this off from zero. I started in very early 2000 with a blank piece of paper, with nothing, and the challenge to start a biopharmaceutical business in China with a global view. Hutchison saw the future of pharma in China and actually they were right because the pharmaceutical industry in China over the last twenty years has gone from strength to strength. Being a big diversified conglomerate, they have the resources to pick areas they are interested to go into and they chose pharma and for me to start it off. So with my pencil and my blank piece of paper, I laid out the strategy. It is the same strategy we have today. First, if we are going into pharma, we have to innovate and create therapeutic programs that will be genuinely different and unique in the pharma industry. I knew we were going to have to innovate, I also knew that it was going to take decades, and that it was going to cost hundreds of millions of dollars. Hutchison does have pretty deep pockets, but fifteen years and several hundreds of million dollars? I was correctly questioning that at the time. So I knew we had to build a separate business that could be cash generative and could fund those operations. That was the strategy on day one, to do both. First, start building a fledgling innovation organization and, second, go out into China and try to get my hands on as many, call it unloved, assets in pharma as I could. We took what ended up being around $30 million USD and went and acquired various pharmaceutical assets in China. Those assets today based on peer group multiples in the industry are worth over $1 billion USD. Our $40 million net profit after tax times twenty five times earnings – well the peer group models today are closer to thirty five times earnings – so being conservative at twenty five times earnings is worth over $1 billion USD. And it has paid us dividends over the last sixteen years. It has paid Chi-Med dividends of $160 million to $170 million USD. So we have put in $30 million, we have taken out $160 million to $170 million USD and put it towards the innovation side, and it is worth $1 billion USD. So that has been a fantastic operation. And we have built a lot of strength in our reputation in China for what we have done with that business. Everybody knows our name on that side in China. Maybe some U.S. investors don’t know this, but the products we manufacture and sell in China are household name products. Then on the innovation side I went out and, through headhunters, I scoured the world for returning talent that I could bring back to China to kick off our innovation activities. We just very gradually built it over time. I think when we really got going was when Dr. Weiguo Su joined us in 2005 and focused us in on small molecule targeted therapies and that is what we have made our name on. CHNA ETF: We mentioned that Chi-Med just had its first innovative cancer medicine approved in China. Can you talk about some other assets in the pipeline that are highlights for you right now? Christian Hogg: Fruquintinib is the VEGFR inhibitor that has been approved in colorectal cancer. We have our second big phase 3 trial readout scheduled in three weeks (note: this interview was conducted on October 24th) in lung cancer. It is the FALUCA study of Fruquintinib in third line non-small cell lung cancer, so that is a big one. Fingers, and everything else, crossed. Also with Fruquintinib we have a big phase 3 in gastric cancer that is enrolling. We have an interim analysis on the gastric cancer study in the middle of February next year, so not that long, that is potentially a proof of concept milestone for Fruquintinib. Then what is very exciting also on Fruquintinib and Sulfatinib, which is another VEGFR inhibitor that we are developing, is we are now starting to work with multiple immunotherapy companies combining our VEGFR inhibitors with their PD-1 inhibitors because PD-1/VEGFR combinations are revolutionizing a lot of solid tumor indications. We are in the process of moving very aggressively into that space with several partners. It is something that is quite exciting to us. Separately, we have a partnership with AstraZeneca on Savolitinib, which is a c-MET inhibitor that is about to start a global registration-intent lung cancer study in combination with Tagrisso. Tagrisso has revolutionized the treatment of genetically driven non-small cell lung cancer over the last 2-3 years and I think its third year sales will be well over $1.5 billion USD. AstraZenca just presented at the European Society for Medical Oncology (ESMO) conference some data showing that the main resistance pathway to Tagrisso, the main reason why patients progress on Tagrisso, is because of c-MET. So Savolitinib in combination with Tagrisso is a very big global potential opportunity. Also, we have a registration study underway in China in first line MET exon 14 skipping non-small cell lung cancer with Savolitinib monotherapy. That study is exciting because it could be the first approval of Savolitinib globally. We hope to finish enrollment of that study sometime next year. Then beyond Fruquitinib and Savolitinib we have Sulfatinib. Which has just received its new WHO (World Health Organization) name - Surufatinib. It is in two big phase 3 studies in neuroendocrine tumor patient populations in China. We have interim analyses on those next year as well. We are hopeful, although not certain of course, that if we are able to see the efficacy we saw in the phase 2 also playing out in these phase 3 studies, maybe those interim analyses will allow us to stop the studies and submit them for approval. Because if the phase 2 data plays out, we already may have the number of patients necessary. But it is still to be determined. So that is big for us next year with Sulfatinib. Another thing that is exciting is we have established our U.S. regulatory team in East Hanover, New Jersey. That team is now very focused on developing Fruquintinib in the U.S., Sulfatinib in the U.S., our Syk inhibitor HMPL-523, and our PI3K Delta inhibitor HMPL-689. So of those four assets, two of them are already in the clinic in the United States. For the other two, one IND is cleared and the other IND has been submitted. We are going to go hard in the U.S. with those four assets in the coming year or two. So those are generally the high level things we have going on. Then, you have just been touring over there in research and development. We have compounds against five other innovative novel targets that are going through preclinical development. We expect at least one per year to hit the clinic. So I think if you look 3-4 years from now, we could have three or four approved drugs and we will have probably 12 drug candidates in clinical trials. CHNA ETF: Maybe that brings us to a last question. What are your thoughts on where the biopharmaceutical sector in China is going? If we come and visit you here in this facility five years from now, what will your company and what will this area look like do you think? Christian Hogg: I think with all things, there are periods of boom and bust. There are periods of very rapid growth and then there are periods of digesting that rapid growth, a kind of consolidation. What we have seen, because we have been doing this for eighteen years, is we have gone through periods of drought where there was no interest in biotech in China. It was really only the most committed long-term view investors and people who were actually involved with it and sticking to it during those difficulties, particularly the global financial crisis where everything shut down. So we have been through those periods of hard slog and challenge. I would say since 2015, we have seen a real revolution. And I think the revolution has been driven by the success of probably a handful of companies including Chi-Med, but also BeiGene, WuXi AppTech, and Jiangsu Hengrui. A handful of five or six companies that have created great value during that time. That now has attracted the attention of the global investing community, the financial community, and there has been an enormous influx of investment into the industry. Essentially sprouting hundreds of small biotech companies all eager to replicate what we have done and what some of these other companies have done. What people are going to realize is that it took us eighteen years to do this. It is no matter if you have all the financial resources you need, it still is going to take you five to ten years to do this. So I think we have gone through a three or four years period of massive increase in interest and resource allocation, it’s got to be digested. It’s got to be digested in order for it to be effective. Recently we saw Innovent Biologics price its IPO (this interview was conducted on October 24) and it was at the top end of the range. Innovent Biologics has been at this for a long time. This is not a three-year-old company. It is probably a ten year old company, maybe slightly less. But in this industry you’ve got to understand that just making cash available is not the answer. It’s about making cash available in the sensible manner of a prolonged period of time that will deliver you the result that can create great value. So what I see in the next five years is I see continued great growth, I see continued interest levels increasing in biotech in China because people like us, people like BeiGene, people like Innovent Biologics, the companies that have been at this so long are getting their drugs approved. That is the exciting time now. This is when everyone realizes just with Fruquintinib – the first domestically discovered drug to come through unconditional approval in 50 years in China – it shows it can be done. So the interest will continue to come in. I think on the periphery of these kind of core players, you are going to get some successes and some failures. It is going to be interesting to watch. I think you are going to see more of the licensing in from outside of China to develop innovations in China. So local companies going and getting assets from outside of China. That is the fastest way to do it. You know it takes ten years, eleven years to create Fruquintinib from zero, while it takes a couple of months to do a deal with someone in America and bring in an asset. So I think you are going to see that happening. I think you are going to see more and more products approved. I think you are going to see continued reform of the regulatory environment in China. It is going to be very supportive, I think it is going to be a tailwind in the sails of the industry. And, yes, you are going to see it continue to grow and get stronger. It can’t continue to grow at the pace of interest of 2016 and 2017 - that was almost an insane increase in interest. That led to I think over expectations in the Hong Kong biotech equity capital market initiative and it has led to some disappointments. But I think now with more mature companies coming in - I think that Innovent Biologics was priced at around $2 billion USD, in my view, that’s a good deal – that is when more shareholders should make money. In a normal market, shareholders should make money. For Chi-Med I think that we are a business that has been established over 18 years. We have a big commercial business that makes money, we have programs that are getting approved. You know it is very diversified - we are not binary. And the investors who take the time to understand what we are doing and to fully grasp the scale of the operations that we run, these are not short-term investors. These are not investors who sell their shares when the Nasdaq Biotech Index moves three or four percent. Most of our investors are long-term blue chip and have been with us for years and are deeply in the money. Because when we first listed in London, our London share price was two pounds seventy five and it is now approximately 45 pounds. Many investors made a lot of money through the years and they trust us because we are very transparent so I think we tend not to behave in volatile markets, at least at this point knock on wood, we will continue to behave not in a similar fashion as early stage biotechs. But one thing that is encouraging is when we do see our innovations hitting their milestones and getting approved and meeting their endpoints in phase 3 studies, we are rewarded. Because more and more U.S. investors in particular are starting to understand that if you want to play in China biotech and you want a transparent company with good corporate governance and a long track record of gradual success, then Chi-Med has been a pretty good bet. CHNA ETF: With that, thank you for your time and the opportunity to visit your company in Shanghai. The China BioPharma ETF is a Chi-Med shareholder and we share your long-term view. Your success is our success. Good luck. Opinions expressed are those of the author, interviewee, or Funds and are subject to change, are not intended to be a forecast of future events, a guarantee of future results, nor investment advice. Fund holdings and allocations are subject to change at any time and should not be considered a recommendation to buy or sell any security. AstraZeneca, CK Hutchison Holdings Innovent Biologics, Jiangsu Hengrui, Procter & Gamble, and WuXi AppTech are not a holding of the Fund or affiliated with the Fund. London AIM is London Stock Exchange’s international sub-exchange for smaller growing companies.